Have you ever been in this situation? You’re trying to solve a problem, maybe you’re working on designing a clever solution for a hard user problem. You have boundless data in front of you and have gathered all the requirements, constraints and use cases. There is no shortage of user insights from qualitative and quantitative data, and now it’s time to come up with ideas. And you’re stuck. The more you think about it, the less obvious the solution is. Has that ever happened to you? Design requires an abundance of analytic thinking. As we learn how to become product designers, we learn methods and practices like task analysis, heuristic evaluations, information architecture, card sorting, rapid prototyping. We also learn concepts like principles of good UI and graphic design. We run experiments and use data to inform design decisions. We’ve turned the act of designing into a science so much that innovation is often cast as a “process” and terms like “data-driven design” have become part of our vernacular. But design is both a science and an art. And yet, far less time and energy is spent on teaching designers how to be better skilled at being creative and innovative. We’ve mystified this aspect of design so much that we often perceive people as either being naturally creative geniuses … or not. 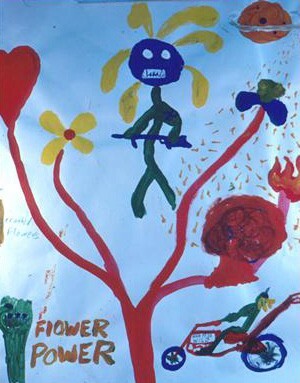 It’s possible that some people are just naturally born creative geniuses. More realistically we all lie along some spectrum of analytical vs. creative minds. So for us mere mortals, how might we acquire the most critical skills we need to be great designers? How do we become more focused so we can deliver the one or two key features that would be most useful? How might we more effectively cultivate access to our empathy and compassion for people so we can make our products more usable for them? How we can be more innovative and bring more inspiration, delight, and heart to the people who use the products we design? Focus, empathy, and creativity are all skills that can be learned, and there are concrete things you can do to become better at all this. That’s what this talk/article is about: how to cultivate focus, empathy, and creativity through mindfulness practices like meditation and yoga. My deepened interest in yoga and meditation has been as much a journey of personal and spiritual growth as it has been a professional one. As I advanced further in my career I found my life unsustainable. While holding executive roles for the world’s largest internet companies, I had two young children. I looked like I had it all: work-life balance meant waking up at 5:30 in the morning to exercise and be home for dinner by 6:00 pm, and then using my waking hours of insomnia to continue working. If this was the badge of success I was not wearing it well. My marriage of 11 years dissolved and my hips were so tight I could not sit on the floor to play with my children. I was so stressed and distracted with work that I barely remember what my kids were like at that age. Somewhere along the way I recognized that although I was fit and healthy, I was deteriorating on the inside, and that’s what led me to yoga. This was before the term “mindfulness” became a “thing” and was featured on the cover of TIME magazine. I was not looking to find greater focus, empathy, and creativity; I just knew I needed to stretch my body. What is mindfulness? Refer to Jon Kabat-Zinn’s traditional definition of mindfulness: it is a way of paying attention to, and seeing clearly whatever is happening in our lives. The attention paid is purposeful, in the moment, without judgment. It’s about having the time and space to attend to what is ahead of us, in spite of distractions competing for our attention and our past history that shapes how we think and perceive the world. Meditation is a broad term. There are a lot of ways to meditate. The simplest and most widely form of meditation is to sit and focus on the breath. The breath is free and easily accessible, there when you need it, and is the foundation for meditation and yoga. We use the breath to focus the mind and be in the present moment. Meditation is unbelievably difficult. Particularly in this day and age when our attention spans are taxed to the limit, it is really hard to focus. Our minds are notorious at wandering and moving from thought-to-thought; it’s hard sometimes to string just a few seconds of focused attention together. Meditation is often misperceived to be about relaxing and cleansing the mind of all thoughts, but that is not actually true. Meditation is hard work and it takes a lot of practice to get better. But that hard work is worth it. We are gaining better insight into how meditation affects the brain thanks to fMRI technology. A study of people who meditate vs. people who don’t found that brain areas linked with attention and sensory processing are thicker in people who meditate. And it’s not just a correlation; there is a causal effect. The longer the subjects practiced meditation, the thicker those parts of the brains are. We can literally change our brains through mental training. Even though focusing the mind is hard work, it doesn’t take long to achieve the benefits of meditation. Just meditating for 20 minutes a day for four days results in a significant improvement in critical cognitive skills. It’s not just cognitive skills that improve with meditation; meditation has also been found to improve one’s ability to focus. In 2009 Antoine Lutz and his team tested participants before and after an intensive three-month retreat during which they practiced mindfulness meditation on a daily basis. Meditators were significantly better at selectively training their attention compared with the control group that was just learning how to meditate. In Jan 2014, a study published from the University of Miami reported that students who took a seven week mindfulness training course showed significant improvements in attention and diminished mind wandering, compared to a control group who had no mindfulness training, and had increased mind wandering and diminished attention over time. When we create a habit of practicing this focused attention, it becomes easier to move into that space during times when we most critically need it. Focused attention is very much like a muscle, one that needs to be strengthened through exercise. The more you do it, the easier it becomes to stay focused. It is this clarity of mind, this focused attention, that is paramount to the act of designing: a cluttered mind leads to a cluttered design; an unfocused mind leads to a confused design. Focus refers to paying attention to what is most important and meaningful in the moment. It is also an act of letting go. Simplifying and decluttering are mindfulness practices. They are ways to practice living in the present moment. In product development, lack of focus often stems from a deeper issue around ego. Maybe we don’t want to cut features because we don’t want to disappoint early adopters who often want power and flexibility. Or maybe we don’t want to let go of a potential revenue opportunity even though it doesn’t make sense for the product or its users. Or maybe the team wants to add functionality because it’s technically possible. In any of these cases, it’s all about ego. Mindfulness practices help people let go of their ego and deal with whatever is getting in the way of achieving that focus. Simplifying then becomes less an act of ruthless elimination and more an act of love and compassion for people who benefit from a clear, direct user experience. Empathy, like focus, is crucial for great design. Many design leaders I talk to will say that a designer’s ability to empathize with users is the number one skill they look for when hiring. And yet, empathic thinking is increasingly difficult to access for many of us. Our constant connection to digital technology skews us away from real human connection, to the extent that we’re not communicating face to face or by voice as much as we are by text. Moreover, most of us are designing technology for human use. The cultures of the companies developing these technologies are often very analytical cultures, dominated by people who come from engineering or business backgrounds. In these companies, designers are rewarded for their ability to rationalize design based on data and reason. Hence the term “data-driven design”. It turns out that as we engage in analytical thinking, which most of us are doing in the workplace, we are less able to engage in empathic thinking. Anthony Jack of Case Western University found that when people think analytically, when we think about the technical details of how something works, we turn off the brain areas that allow us to understand other people’s experience. On the other hand, when we really get inside someone else’s head, then we turn off the brain areas for analytic thinking. There is a neurological divide between these areas of the brain, which reflects a cognitive tension between these two modes of understanding. So what does this have to do with good design? Good design requires both networks. It requires technical excellence, but that excellence has to be directed towards an excellent user experience, and that takes empathetic imagination. As designers we try to build empathy by studying users, either in the field or in the lab. Those endeavors are important and worthwhile, but they are still analytic endeavors. We take notes, we code up the behaviors, and then we synthesize and analyze what we observed. True empathy goes beyond observation. It’s about getting out of your head and feeling their experience in your bones. Psychological testing shows us that people tend to be better at one mode of thinking or the other. You may not be surprised to learn that women tend to be more empathetic and men better at analytic thinking. But this isn’t just a gender difference. Even if you look just at men, or just at women, the people who are more analytic tend to have less empathy, and vice versa. We can train both networks. A lot of recent work suggests we can train our analytic spatial-visual skills by playing fast-action violent video games. Women, on average, can catch up with men in spatial-visual skills if they play violent video games for just one hour a day for two weeks. Playing violent video games also was found to decrease empathy, so training the mind in one direction comes at a cost. We can also train the empathetic network. Much research has proven that yoga and meditation boosts one’s empathy and compassion for others. Researchers from the University of Rochester Medical Center found that training doctors in mindfulness meditation helped them to listen better and not be as judgmental both at home and at work. Another study found that people’s ability to recognize subtle facial emotions after they did yoga dramatically improved compared to before the yoga session. This effect was greater for people who regularly do yoga, and for people who practiced a flow sequence in the yoga session. In addition to being a meditative practice, yoga boosts one’s empathy because of the mind-body connection. We are all familiar with the effect the mind has on the body — you might know what tension in the body feels like. Maybe when you’re stressed out, you feel tension in the shoulders, or in the worst cases, you throw out your back or your neck gets stiff. We’ve long known about the impact the mind can have on the body but now there is a growing body of research that proves the relationship is bi-directional. Changes in the body can change one’s emotions, mood, hormone production, and gene expression. For example, we smile when we feel happy. We also feel happier when we’re forced to smile, for example by holding a pencil in our teeth. Holding a pencil between our teeth can help make us feel happier. It turns out the converse is true too. 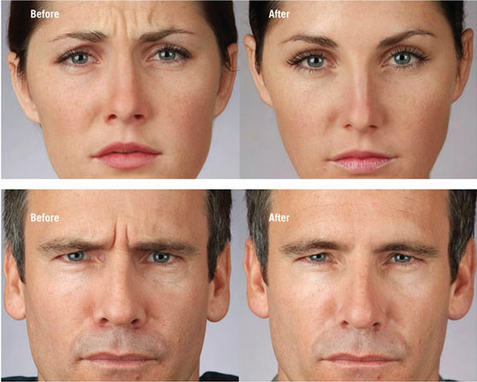 Dr. Eric Finzi injected Botox into the frown muscles of people diagnosed with depression, so they were prevented from frowning. About 27% of these patients got better, compared to 7% of the patients in a control group. Paralyzing the face and preventing the face from frowning literally cured patients from depression. Dr. Eric Finzi cured people diagnosed with depression by injecting Botox into the facial muscles that cause frowning, which paralyze the muscles and prevent patients from frowning. The relationship between mind and body is not just limited to the face. At Harvard University, Amy Cuddy and her colleagues have studied the effect posture has on hormone production and behavior. Cuddy and her team put research subjects in different poses and measured their hormone levels. People were put in high-power poses (legs apart, hands assertively on hips, that sort of thing) and in submissive poses (legs and arms close to the midline). After a mere two minutes they found testosterone levels shot upwards and cortisol levels decreased in the people in high power poses. Then they gave these people a chance to play a gambling game and found that being in the high power pose made them much more aggressive later on. High-power poses include expansive poses with open limbs. 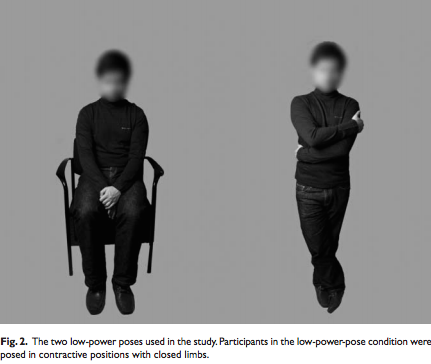 Just two minutes in a high power pose can result in decreased cortisol levels and elevated testosterone levels compared to people in submissive poses (see below). 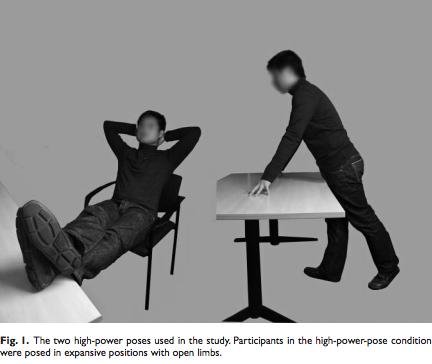 Low-power poses include poses with closed limbs (arms and legs close to the midline). Our nonverbal language governs how we think and feel about ourselves. Our body language affects how we approach design. In today’s modern age, with all the hunching we do over a computer, we are perpetually in a defensive posture. We are rounding in instead of opening up. This defensive positioning that we do leads to tension in the body and can inhibit our openness to new ideas and reinforce our natural tendencies to protect ourselves, especially our egos. To counteract that, we have to open up the body and release the tension that builds up. The spaciousness we create in our bodies impacts our brains. An open body, an open mind. Yoga poses that open the shoulders and the chest are considered “heart openers” and, in the same way they help create spaciousness within the chest cavity for more breath, they are thought to help with challenging situations, like difficult relationships or negotiations, or relating to other people or new ideas. Understanding this relationship, we can use the mind-body connection to help improve our ability to relate to others. We can also use yoga and meditation to be more creative. I’ve discussed the mind-body connection as it relates to the face, the shoulders, and the chest. There is also a strong connection between the mind and the hips. The psoas muscle is the only muscle that connects the spine to the legs. It holds us upright, and lifts our legs in order to walk. A healthily functioning psoas stabilizes the spine and provides support through the trunk. It forms a shelf for the vital organs of the abdominal core. The psoas muscle is the only muscle that connects the spine to the legs. 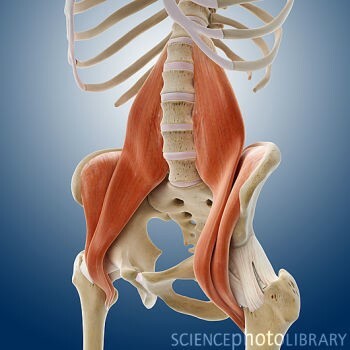 Because the psoas is connected to the diaphragm through fascia, it is directly connected to our breath. It is also directly connected to our fight or flight reflex, because of its connection to the reptilian brain, the most ancient interior part of the brain stem and spinal cord. The psoas helps you to spring into action — or curl you up into a protective ball. Our fast paced modern lifestyle chronically triggers and tightens the psoas. If we constantly contract the psoas due to stress or tension , the muscle eventually begins to shorten, leading to a host of painful conditions including low back pain, sciatica, disc problems, hip degeneration, knee pain, menstruation pain, infertility, and digestive problems. 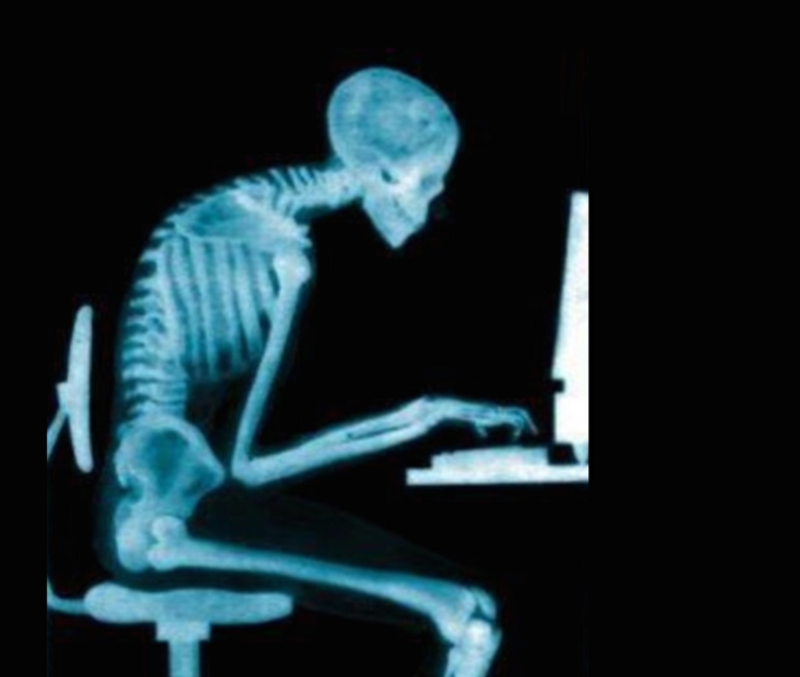 This situation is exacerbated by many things in our modern lifestyle, from sitting in our chairs at work or driving behind the wheel, to ill-designed chairs and shoes that distort our posture, which curtail our natural movements and further constrict our psoas. In contrast to a contracted psoas, ready to run or fight, the relaxed and released psoas is ready instead to lengthen and open, to dance. A mobile, healthy psoas not only gives the benefits of mobility and physical comfort but it also supports a free, more playful and calmer way of being. A relaxed psoas is the body’s expression of play and creativity. 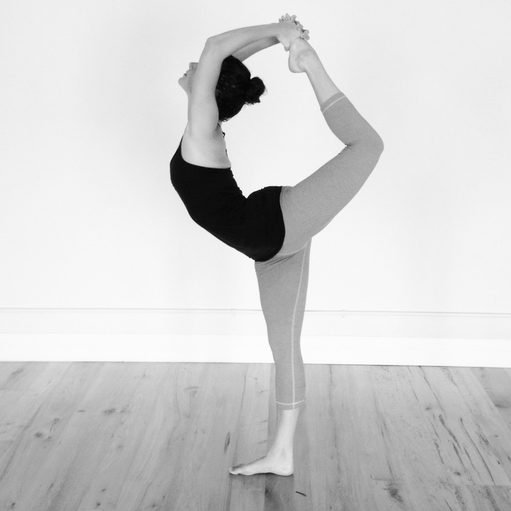 Natarajasana, which translates into “Lord of the Dance pose”, requires a lengthened and open psoas. Many yoga teachers believe that we store negative emotions in our hips. The physiology of the body supports this idea. By releasing the hips and hip flexors, we release our stored anger and negative emotions. By letting go of our anger and negative emotions, we free ourselves to be more playful and creative. Meditation also affects creativity, but how it affects creativity depends on what kind of meditation you engage in. In focused-attention meditation, you train your attention to focus on the breath or an object such as a candle or a mandala. This is a meditation technique that is common in yogic traditions, and it helps to focus the mind. In another form of meditation, called open-monitoring meditation, you practice monitoring your experience from moment to moment, with openness, curiosity, and acceptance, and without reaction, judgment, or holding on. Research done in 2012 at Leiden University in the Netherlands compared open-monitoring meditation with focused-attention meditation and their effect on creativity. Researchers found that open-monitoring meditation best promotes divergent thinking compared to focused-attention meditation or no meditation at all. Divergent thinking is a style of thinking that allows many new ideas to be generated. This is exactly what we want to cultivate when we’re facilitating brainstorming or ideating different design solutions: we want to generate as many ideas as possible. Open-monitoring meditation can help you generate more ideas. You can practice both focused-attention meditation and open-monitoring meditation at the same time. The simplest way is to focus the attention on the breath. If the mind wanders, don’t judge it, just let the thoughts pass and return the attention to the breath. Moving in and out of both forms of meditation is like circuit training, where you combine high intensity cardio and resistance training in the same session. Yoga starts out for many people as a physical practice, and then naturally evolves into the art of living well. As negative habits, patterns, and influences within ourselves and from the outside are progressively dropped in favor of more sustainable ones, yoga becomes a way of life and moving through the world. It becomes not about what we do, but how we do things. And this is where the impact of yoga and meditation is most profound. Mindfulness practices help you let go of fear: fear of being judged and fear or trying new things. When you let go of fear, you can truly be present. When you’re present, you’re more able to fully enjoy the experience of whatever activity you’re engaged in, rather than focusing on the outcome. Being able to enjoy the journey more than the destination is one of the best things you can do for your creativity. Stanford psychologist Philip Zimbardo demonstrated this phenomenon through his research. He studied what happens when people are engaged in creative activities and are focused on the final outcome as opposed to the act of making. 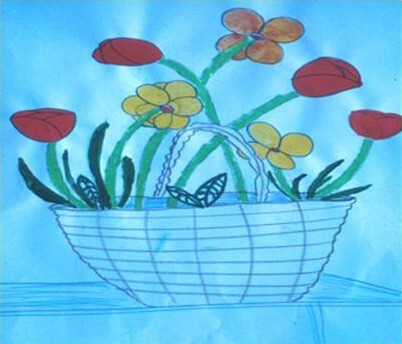 College students were asked to paint a color picture of a basket of flowers. 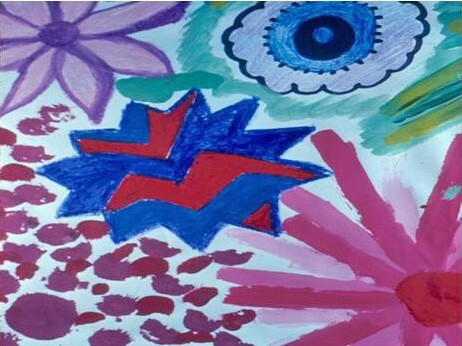 Half of the group was told that judges in the art department would evaluate their efforts. The other half was told to focus on the artistic process itself. After participants finished, several graduate art students judged all the paintings on two dimensions: technical merit (best uses of color, space, layout) and creativity (originality, novel use of color and design). From “The Time Paradox” by Philip Zimbardo and John Boyd. This artist was oriented toward the final product. 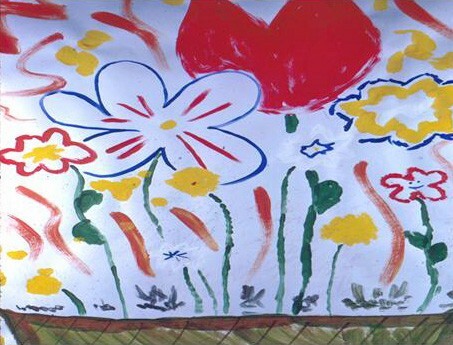 This artist was oriented toward the process of making the art. This artist was naturally inclined toward the process but was placed in the product condition (and apparently not happy about it). Successful design requires both creativity and technical merit: we want the experiences we design to have a soul; at the same time, great design requires tremendous attention to detail. As designers it’s important for us to understand these different mindsets and the effect they have on the creative process. When we’re ideating, it’s crucial that we let go of judgment of ideas, which should come later in the design process. When our egos are not put on the line, we can more easily relax and and be playful. When you’re fully engaged in play, you lose some of your psychological barriers and stop censoring or editing your thoughts. This allows creative ideas to flow more freely. So concretely, what can people do to prime their bodies for designing? Nothing beats having a regular yoga and meditation practice. If you’re worried about not having the time to meditate, just start with 5 minutes a day. Everyone can find 5 minutes. Over time, grow that to 10 minutes, then 20. Same thing with yoga. Even stretching for 10 minutes can benefit the body. Practicing for an hour at least three days a week will help you significantly open up the body. If you don’t have time for a regular practice, here are some simple things you can do to prime the body for design. When seeking inspiration, chest, shoulder, and side body stretches help the body open up to new ideas, people, and situations. Simple poses like supported fish pose or standing crescent pose help create that spaciousness. 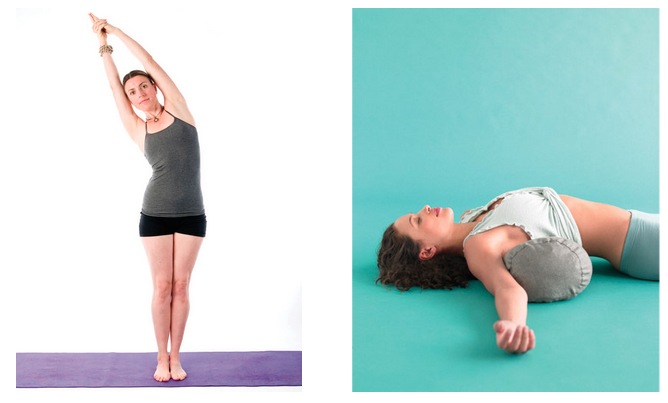 Poses like standing crescent pose (left) and supported fish pose (right) help create spaciousness in the body. Stretching also helps prepare the body for design brainstorms as well. In addition to stretching the shoulders, chest, and side body, open the hip flexors with crescent lunges and the hips with bound angle and pigeon variations. Engaging in an open-monitoring meditation before design sprints help facilitate divergent thinking. Hip openers that open the hip along different axes of rotation help release tension that is stored here. Then when you’re ready to execute and refine your design ideas, focused-attention meditation helps improve your ability to focus, simplify, and declutter. Forward folds turn you inward so you can find the introspection needed to synthesize. Forward folds like Paschimottanasana are introspective, calming poses. The idea of doing yoga at work before and during meetings might be discomforting at first, but more and more companies are buying into the benefits of yoga and meditation. Companies as diverse as Google, General Mills, and the insurance company Aetna offer meditation and yoga classes. Increasingly, even startups are paying for employee participation in yoga retreats and are hosting classes in their offices. The principles of yoga and brain science are converging and together can create a blueprint for transformation. With meditation and yoga, you can change your brain, and how you move through the world. I practiced yoga off and on since I was a teenager, but it wasn’t really until I combined my physical practice with regular meditation and a deeper understanding of yogic principles that my body and mind started to change. Through my practice, I have gained a calmer, freer way of being, a deeper connection to those around me, and compassion even toward those who challenge me the most. While I previously experienced a slump around midday, around 2:00 or 3:00, I have found myself with greater clarity of mind and creativity even at that hour. With a better ability to relax, shed the ego, and let go of fear, I’ve arrived at better insights with greater clarity and understanding. Back that scenario where you’re working on a hard problem. Sometimes when we take a step back from the problem and let the mind relax, some insight might reach us, and the solution becomes obvious. We can train our minds to be better at this. Focus, empathy, and creativity. All human beings have this treasure within. We all have the potential to be more focused, empathetic and creative. Mindfulness practices are techniques that allow us to dive within the mind and intellect, and transcend that so we can experience that deepest level within ourselves, that treasury. This essay is a transcript of my keynote speech at the IxDA 2014 conference in Amsterdam, The Netherlands.